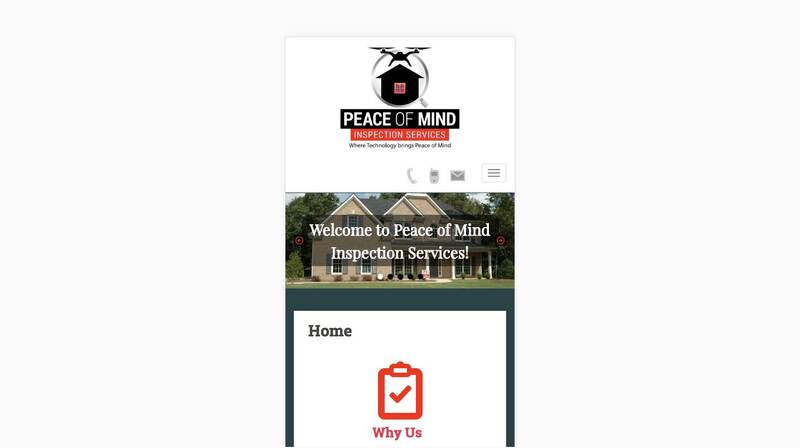 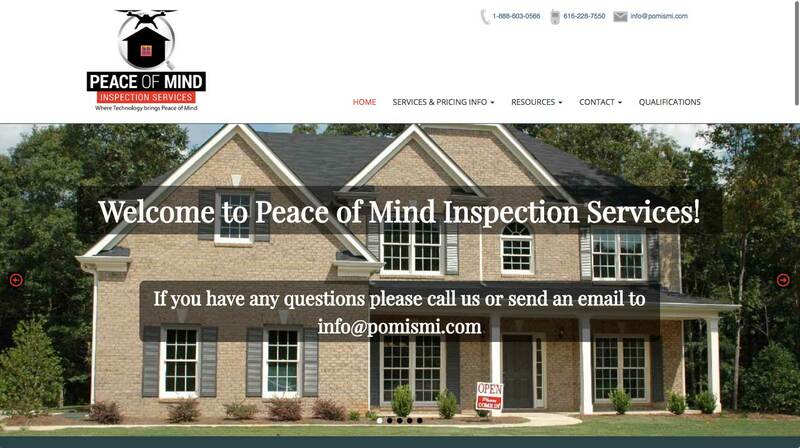 This is the website for Peace of Mind Inspection Services. 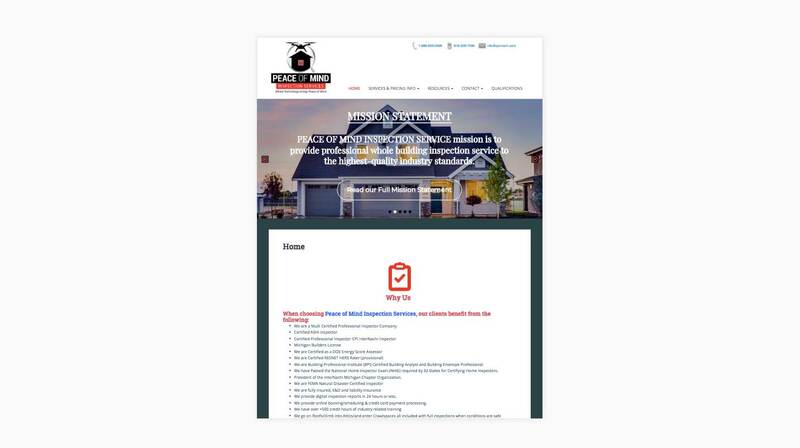 For this project the client wanted a site that helped differentiate them from the competition and house a wealth of information. 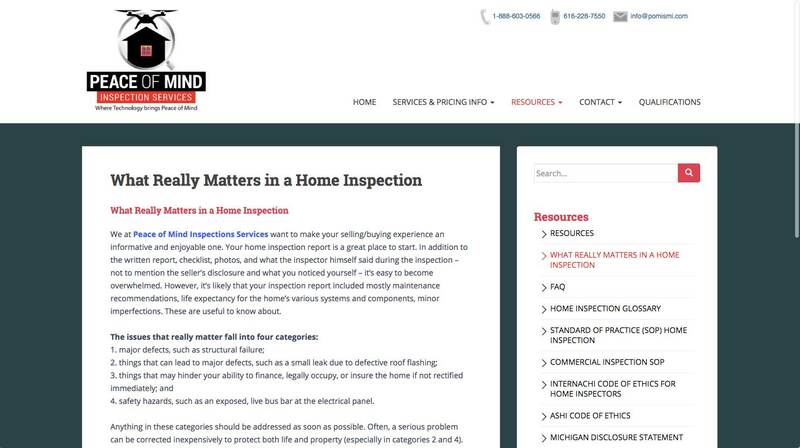 Visitors to the site can educate themselves on the various aspects of home inspection, find service pricing info and book inspections through the sites integrated booking service. 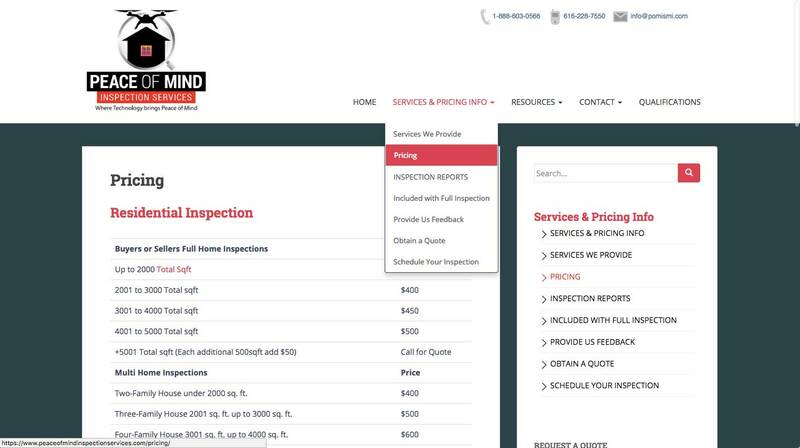 The clean design effectively highlights the client’s technological strengths and content organization makes important info easy to find. 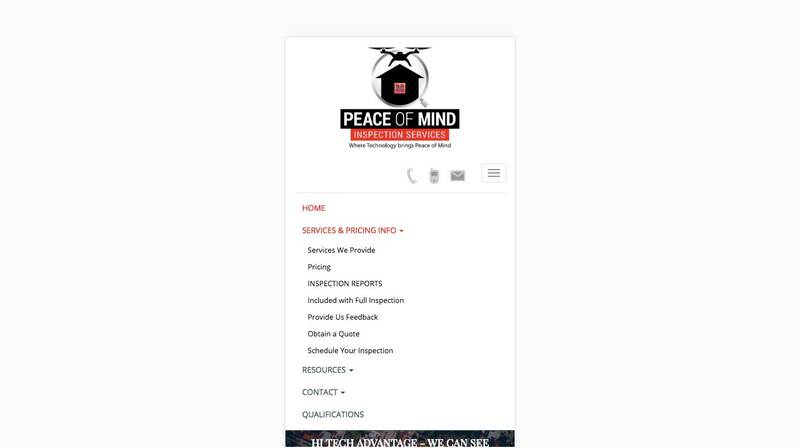 The fully responsive front end looks and performs great in all device form factors and full featured wordpress cms allows for easy content management.